The Samsung Galaxy S3 now comes in a high storage capacity variant, with 64 GB internal memory, and it is now available for pre-orders in the UK at £600. Recently Samsung announced reaching the astonishing number of 30M in sales. That’s with the 16GB and 32 GB versions. The 64 GB Galaxy S3 is still waiting for an official release date, yet online retailer Clove in the UK is giving a free pass to pre-orders for the still unreleased device. What the Clove representatives say though, is that this pre-order period will decide whether they will stock the device or not. This means, if they get enough pre-orders it means it is worth getting the device, if not, the pre-orders will be revised and probably canceled. 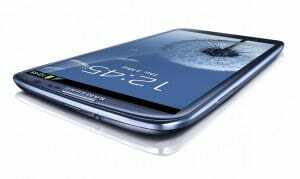 The 64 GB Samsung Galaxy S3 is one of the priciest devices on the market, competing with the same storage capacity iPhone 5, which is £99 more expensive.